Sunflower, sun flower, NECKLACE and BRACELET set, kids, flower girl, flowergirl. Comes with jewelry box and card. Sunflower, sun flower, EARRING and NECKLACE set, kids, flower girl, flowergirl. Comes with jewelry box and card. Sunflower, sun flower, RING and BRACELET set, kids, flower girl, flowergirl. Comes with jewelry box and card. 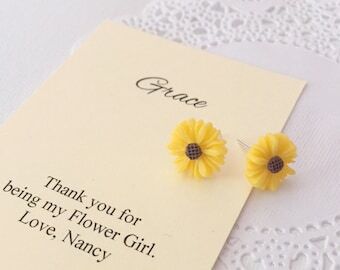 Sunflower, sun flower, EARRING, kids, flower girl, flowergirl. Comes with jewelry box and card. 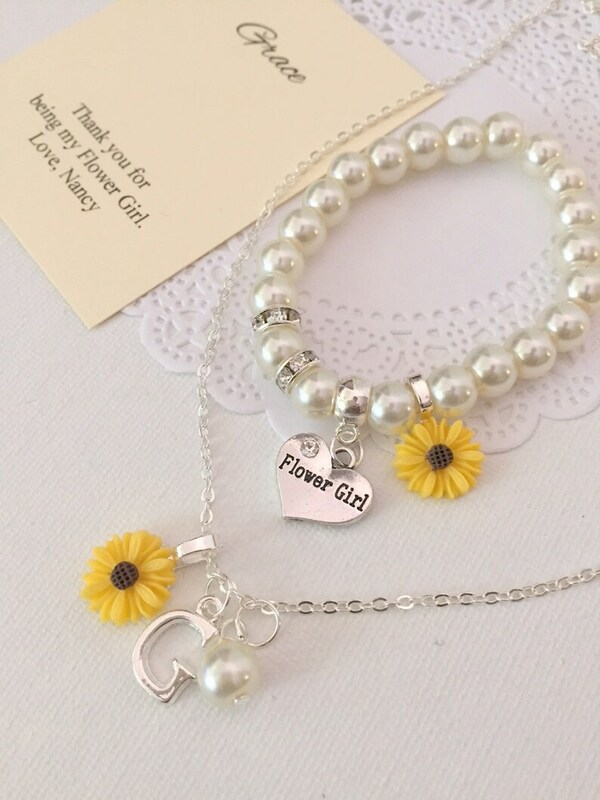 Sunflower, sun flower, stretchy, flower girl, flowergirl, pearl, bracelet. CHILD sized. 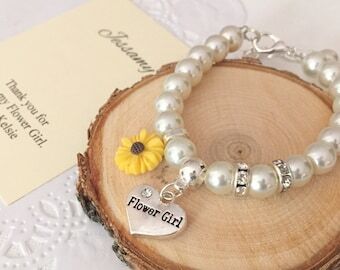 Sunflower, personalized, flower girl, flowergirl, pearl, necklace, matching earring, bracelet. Free personalized card, JEWELRY BOX. 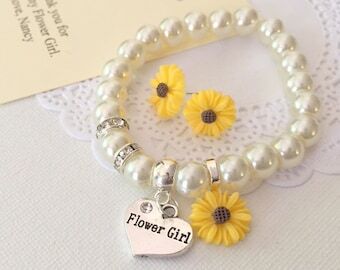 Sunflower, sun flower, stretchy, flower girl, flowergirl, pearl, bracelet, matching earrings. CHILD sized. Comes with jewelry box and card. Flower girl, flowergirl, yellow, sunflower, stretchy, glass pearl, bracelet. CHILD sized. 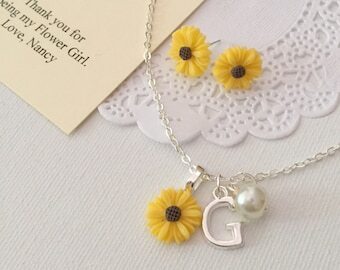 Sunflower, sun flower, personalized, flower girl, flowergirl, pearl, necklace, matching earring. Free personalized card, JEWELRY BOX. These are absolutely beautiful and will make their outfits! The shipping was also super quick from Canada all the way to Australia! Thank you so much for the incredible pieces! The jewelry turned out amazing!! Ribbon bracelet, stretchy pearl bracelet, Flower girl jewelry, kids bracelet initial bracelet, personalized. Comes with card, bag. Personalized, children, child, rose, pearl, necklace, bracelet, set. FREE jewelry box.